The Chinese smartphone company , Lenovo has a good reputation of providing its customers with highly appealing and feature rich phones at a reasonable price. Lenovo recently announced a new smartphone which is a successor of its previously launched Lenovo K3 but the size, performance and features are boosted to a new level. The new phone is termed as Lenovo K3 Note and is also known as K3 Lemon Note. Lenovo has classified the phone into the Phablet category. This is an affordable option from Lenovo. The phone is initially launched only in Chinese market being its home country. 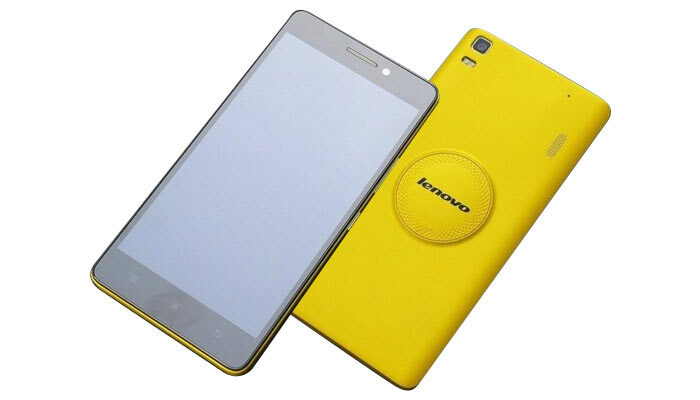 The Lenovo K3 Note comes with a 5.5-inch Full HD display and comes in yellow color with a circular bump having Lenovo logo on the rear side at center which adds to the style and gives it a unique look. The resolution of 1080 x 1920 pixels is pretty sharp. The phone speaker is built on the back side near the top right edge. The smartphone is powered by a 64-bit MediaTek MT6752 chipset and an octa-core processor clocking at 1.7GHz. Talking about the storage, 2GB of RAM area unit is available on board and internal storage is 16GB, which can be extended upto 32GB via microSD card. A 13MP camera is provided on the rear, including a dual-tone LED flash, whereas a 5MP front is a perfect choice for high quality selfies. The rear camera is cased in a square module instead of the round one and is near the top left edge. The Lenovo K3 Note has dual-SIM dual-standby capability and SIM1 supports 2G, 3G and 4G LTE, whereas the SIM2 is GSM only. The battery of 3,000 mAh means that battery life will be better than most of the smartphones. It supports Wi-Fi 802.11 b/g/n, GPS, A-GPS, Bluetooth 4.0 and Micro-USB 2.0. The phone is 7.6mm thick and weighs around 150g. The Lenovo K3 Note comes in two variants. The regular version of the phone costs CNY899 ($145) and the premium version called ‘Teana’ costs CNY999 ($160). The premium version has a special ceramic vibration speaker for high quality audio. The smartphone can be a good substitute for Xiaomi Redmi series and Meizu M1 Note as the cost is lesser while not compromising on the features.